Although the recorded percentage of mortgages in arrears by Canadian Bankers Association (CBA) at the end of February this year was only .24%, it is still important to be mindful of the repercussions. Being in arrears means missing consecutive payments, but it’s possible that someone can miss successive mortgage payments without going into arrears. 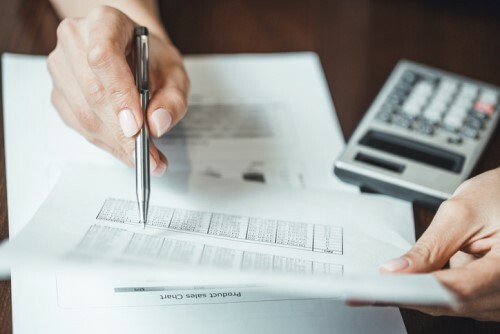 While the CBA defines arrears as three months (or more) of missed payments, but Toronto-based personal finance coach and educator Matthew Siwiec told LowestRates.ca that the number of missed payments before a mortgage goes into arrears varies. A home is often considered a basic human necessity. As such, it is important to take good care of it, and this includes having to pay for the mortgage. Remember, a mortgage is a contract, and failing to pay can be considered a breach of that contract. When this happens, there can be several different repercussions, according to Siwiec – the lender can sue the borrower for both possession of the property and payment of the debt, they may also sell the property following the sale provisions in the contract or repossess the property from the borrower, and place tenants into the property to cover the debt. Siwiec said that when a mortgage goes into arrears, the lender will inform the borrower about the steps he or she can take to fix the loan. Interestingly, Ontario and British Columbia, where housing prices are most expensive, have the lowest percentages of arrears to total mortgages.